platinum custom made bridal set ring consisting of cushion shape, natural diamond, weighing 1.02 carats, having a F color and VVS1 clarity, according to GIA grading scale. The center stone measuring 5.78mm x 5.72mm x 4.15mm and carries a GIA grading report, No. : 11892223. All surrounding diamonds are genuine with a total carat weight (cttw) of 0.52 carats. Surface graining is not shown. 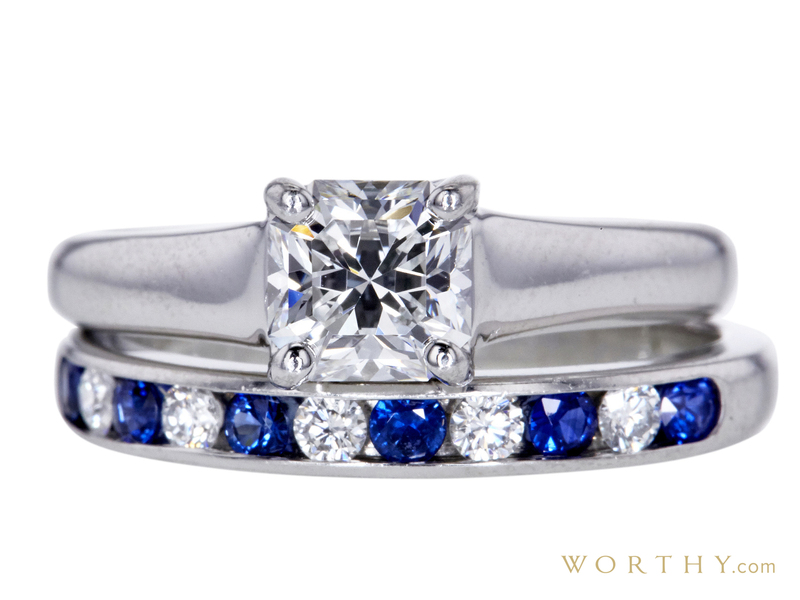 "LUCIDA" is a trademark of Tiffany & Co. Tiffany & Co sapphire and diamond band ring.